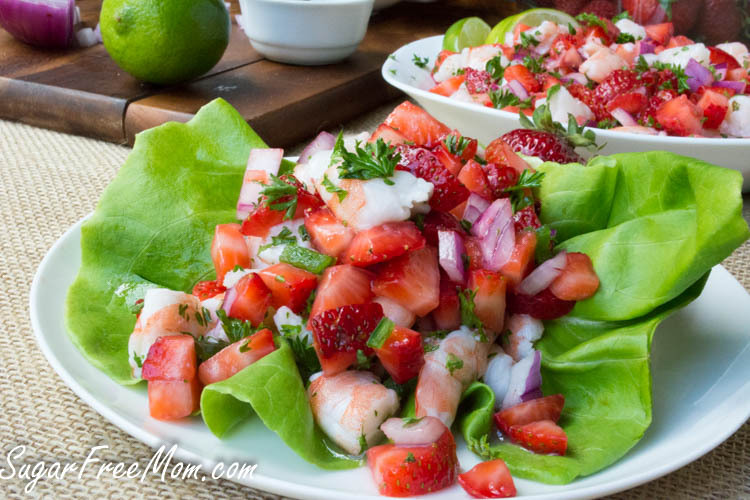 These beautiful Strawberry Salsa Shrimp Lettuce Wraps require little work in the kitchen and make for the prettiest of low carb meals for family and friends! What’s an ingredient you always have on hand in the summer? Is it lettuce, onions, fresh herbs and strawberries perhaps? 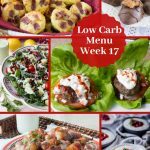 If so, you’re half way there to making this meal today and in minutes! 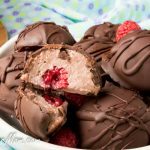 Driscoll’s Strawberries are a staple in my kitchen all year long but especially in the summer. 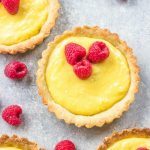 Not only do we just enjoy them as a snack, my kids and I love them in smoothies and desserts like my no bake strawberry mousse pie. But have you tried fresh strawberries in a savory dish? The combo of sweet and savory has been around forever. 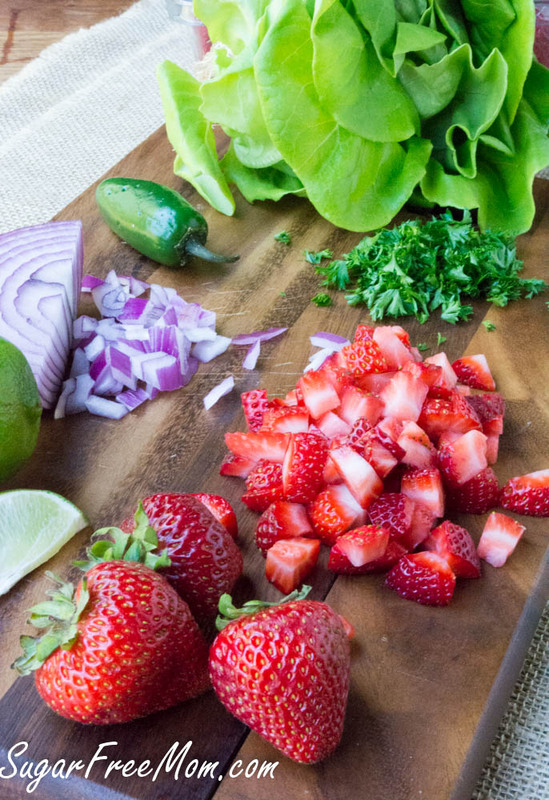 If you’ve never tried something savory using strawberries, let this meal be your first introduction and one I hope you will add to your menu rotation, especially in the summer months! You really can’t get any fresher than these Driscoll’s strawberries! They are the finest berries and are always the sweetest ones I’ve found in any market. 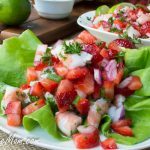 All the fresh ingredients used in this strawberry salsa are simple ingredients you probably all ready have at home, making this a quick meal you can whip up in no time at all. 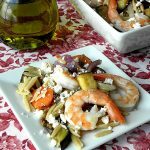 Having some frozen cooked shrimp in your freezer is also a great time saver when it comes to summer meals. Just thaw by rinsing the shrimp in a colander then sitting them under cold running water in a bowl. Just about 10 minutes will do it and they will be perfect to chop and combine with the rest of the meal. You could use raw shrimp for this recipe, but then some cooking would be required. 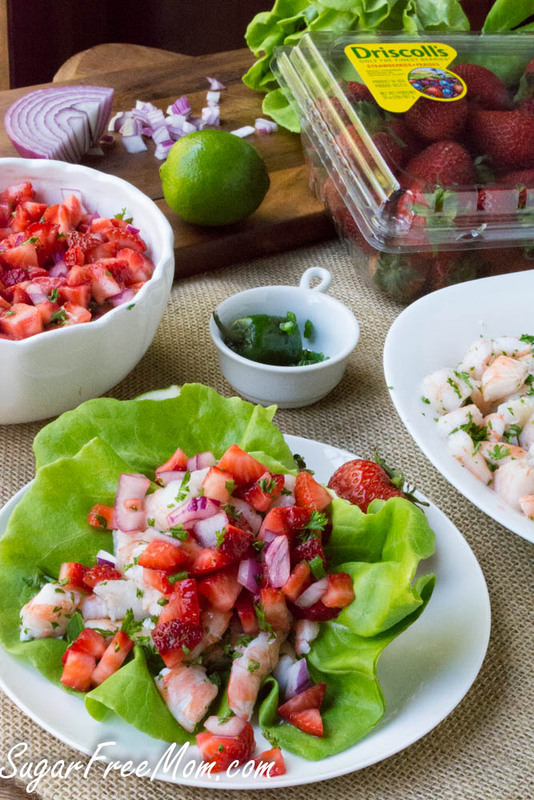 Since the strawberry salsa is best served chilled, I would suggest waiting until the shrimp is cooled a bit before adding to your salsa and lettuce wraps. Although some of you may certainly enjoy the cold strawberries combined with the heat from hot cooked shrimp! 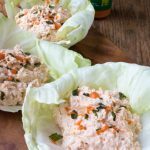 I think it’s easier to chop the shrimp for eating in lettuce wraps, but you could certainly keep them whole, just remove those tails! 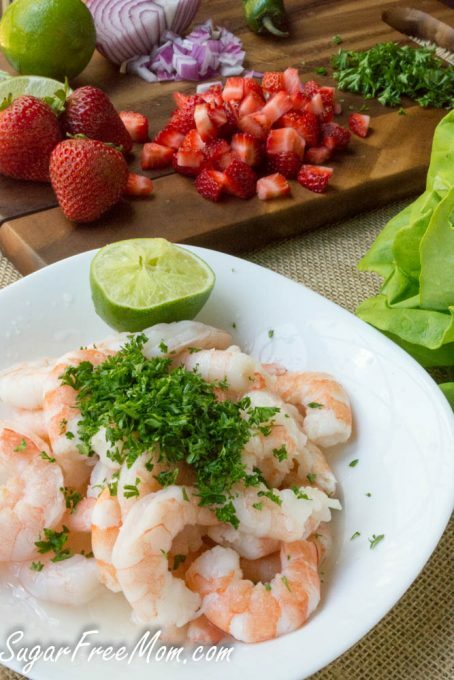 You could combine the strawberries salsa and the shrimp like this picture above in one dish and serve as a salad without lettuce cups if you prefer to keep it a bit neater. But sometimes the sloppiest of meals are the most fun! 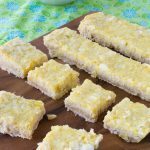 Enjoy with or without jalapeno, but either way the flavors of savory and sweet are making music with each bite you sink your teeth into! 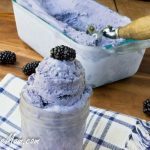 Cool, Refreshing and Easy recipes like this make for the best kind of summer meals! 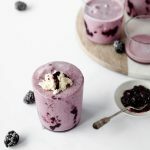 For more fantastic berry recipes check out Driscolls.com! Enter for a chance to win the Sweetest Berry Sweepstakes! Chop shrimp and place in a bowl. Juice 2 limes and toss in bowl with shrimp. Sprinkle 1/4 cup chopped parsley and 1/4 tsp salt over shrimp and toss. Set aside. Rinse and remove stems from strawberries. 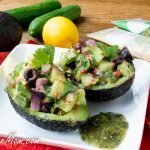 Chop and place in a bowl with red onion, remaining 1/4 cup parsley, juice of 2 limes and 1/4 tsp salt. Add in optional jalapeno of desired. 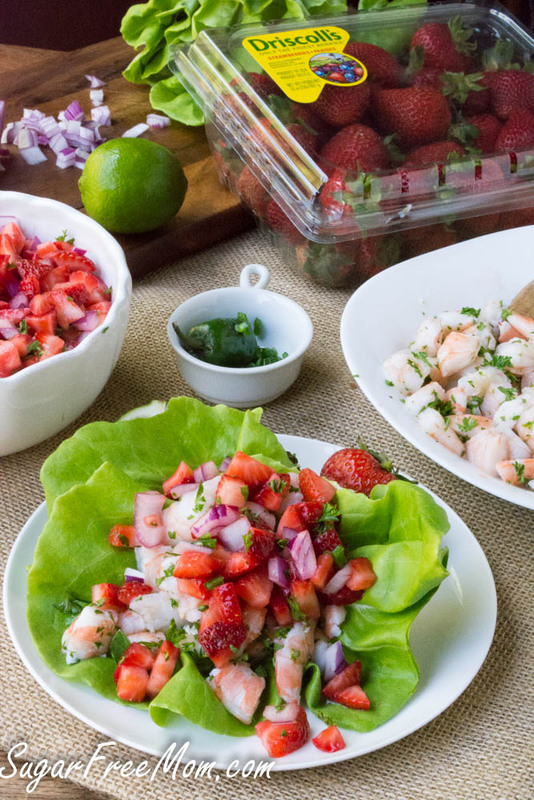 Combine shrimp and strawberry salsa together in a bowl or keep separate until ready to serve lettuce wraps. 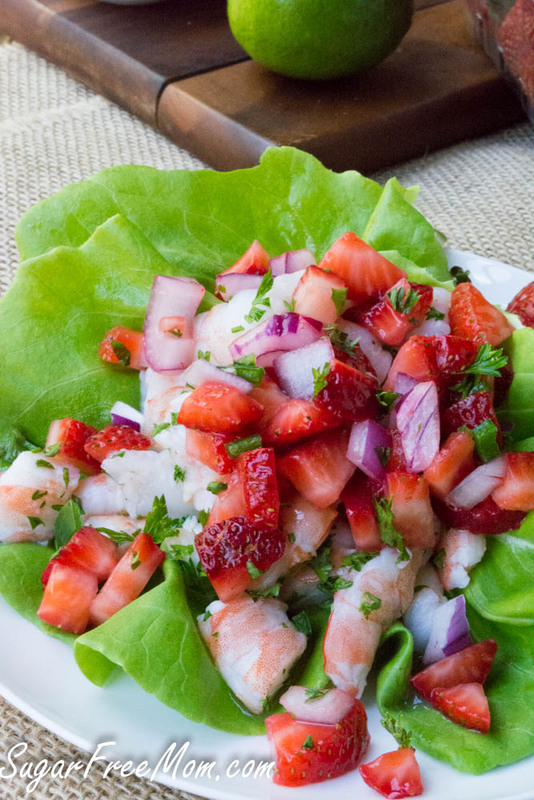 In each lettuce wrap serving place 1 cup chopped shrimp and 1 cup strawberry salsa. Top with more parsley and squirt of lime if desired. Disclaimer: This post has been sponsored by Driscoll’s with whom I am honored to be in partnership with. All opinions are 100 % my own and always will be. Thank you for supporting the brands that keep this website running! This looks soon good! Great for the summer! Oh, I am ALL about Driscoll’s. Especially when it comes to raspberries. I’ll go from store to store to store until I get my hands on Driscoll’s. They’re so much prettier, sweeter and last longer than all the others. I absolutely LOVE Driscoll’s! These wraps are so pretty, I love all of the colors! I can’t wait to make them! I love how healthy this is! I would eat them for lunch everyday. 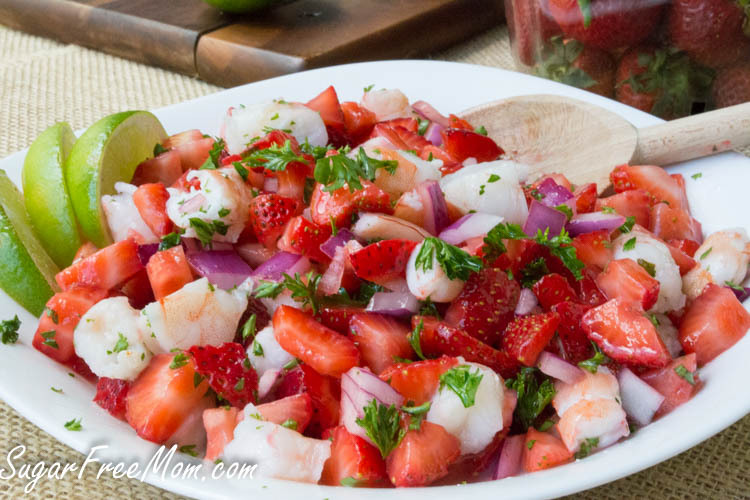 That strawberry salsa looks amazing on its own, but with the shrimp – OHMYGOSH! What a perfect summertime meal. 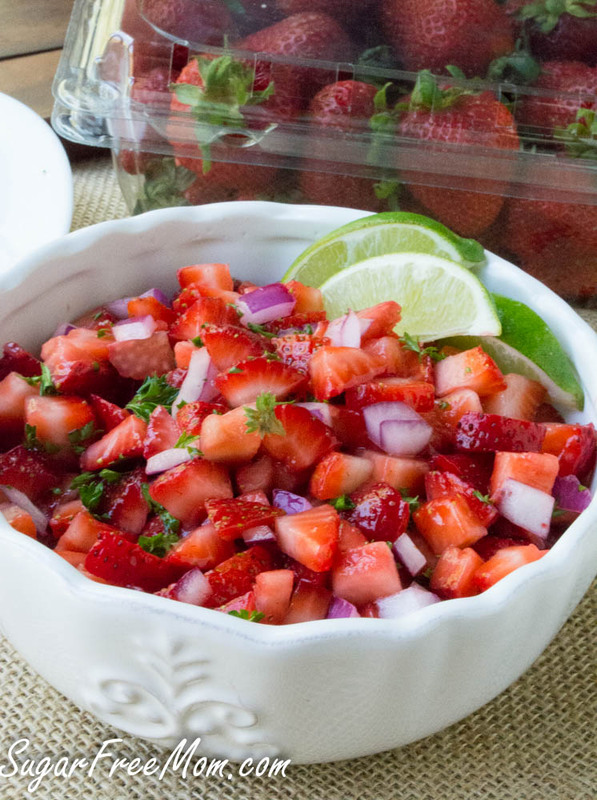 I would happily eat strawberry salsa with every meal. It looks so refreshing! 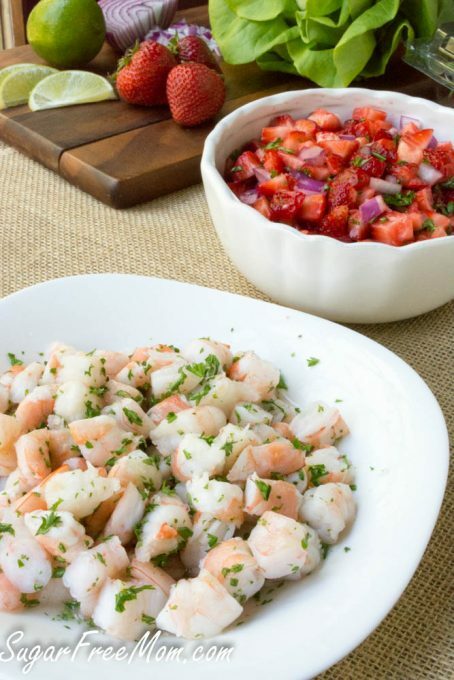 I’m all about fruit salsa and seafood in the summer. Plus these are beautiful! 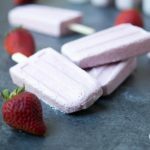 I just got my husband to start eating strawberries so I’m going to have to make this one night soon! Are the Driscoll strawberries organic? This looks delicious but I have concerns with any strawberries that are not organic…..strawberries have been shown to have the highest amount of pesticide residue of most fruits, particularly as you don’t peel them. 🙁 That being said, I will definitely give this a try with some organic berries, yum! Thanks for sharing! Yes they grow organic strawberries.